Please view the attached CEDA PowerPoint_Ridgeland so that you can be informed of a very important proposal that is before the Mississippi State Legislature this session. CEDA gives local citizens the power to vote for a temporary sales tax that would be used for specific capital improvement projects in their community. Ridgeland’s Master Plan calls for the Redevelopment of Southeast Ridgeland into a residential/mixed-commercial type development like the Township at Colony Park. If elected state officials approve this proposed bill, that would give Ridgeland the opportunity to put it to a vote among its citizens whether they would be willing to support this type of project. Without the approval of the state legislature and the governor, Ridgeland and many other towns and cities in Mississippi cannot afford to make improvements to keep their communities vital and strong. Ridgeland officials wish to urge you to support this legislation and to encourage you to contact your state elected officials and ask them to support it as well. Contact information for key legislative leaders are included in the attached file for your convenience. “Personally, I am impacted by the decline of Southeast Ridgeland because it’s where I live and obviously, I do not want to see my property value decline. I remember when Southeast Ridgeland was Ridgeland and seeing the decline is disturbing to me. Without passage of this bill, I feel the area will continue to decline which will be detrimental not only to Ridgeland, but to the State of Mississippi as well. Ridgeland officials wish to thank you for educating yourself about this important legislation that would help our community to thrive into the future. 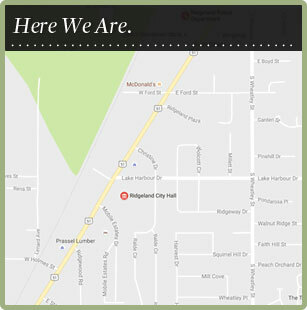 For more information about the Southeast Ridgeland Redevelopment Plan, view this excerpt from the Ridgeland Area Master Plan: http://www.rampupridgeland.com/assets/pdf/southeast.pdf.